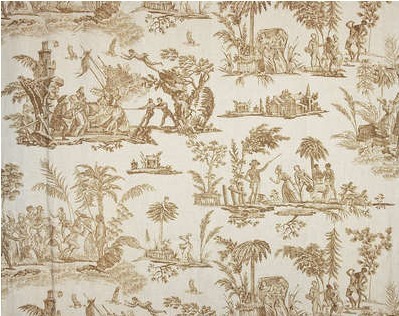 Love me some real French toile y’all…it never gets old! Apparently in this story Virginie got tossed overboard on the way to see her Aunt..such a tragic story. But pretty fabric! That is so tragic! I love a story like that, though! 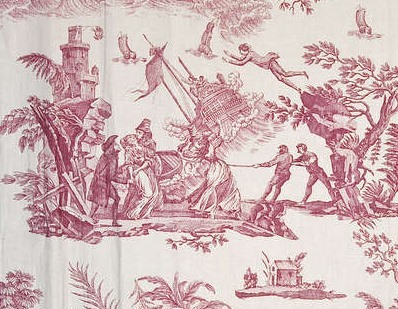 I don’t think I’ll look at toile again without trying to figure out the story it’s telling. Thanks for sharing! I really love toile! It is so timeless. Interesting and sad story behind this piece. 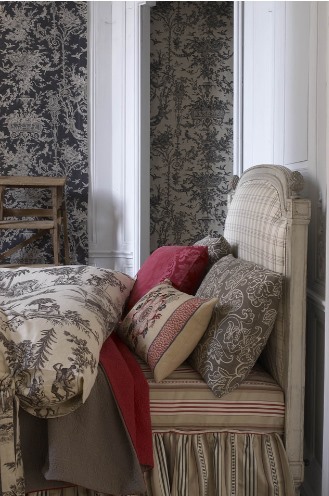 I am also a toile lover and addict! I can find a place for it anywhere! Including on the walls of my newest nursery!